Sweet and ridiculous and a perfect HEA for Nash! Poor Nash was so screwed over when Henry came back from the dead and resumed married life with Sam. The first two stories in the series were good, but they hurt my heart when it came to Nash. I was so glad for him to be the focus of this story, so he too could find love and happiness. The majority of this book is nowhere near true to life, and that's okay. I'm not always a fan of the amnesia trope, but I liked how it was used here, to help Nash and Miles/Emmitt to reset their attitudes toward love. I laughed and cringed at different moments, but mostly I fell in love along with these sweet, wonderful men. 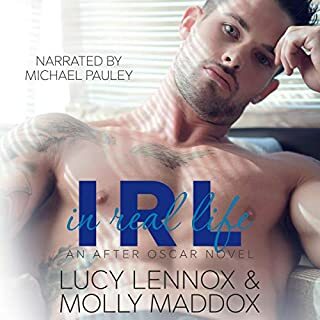 I didn't love the narrator's portrayal of Nash for some reason, it was just okay, but I did really like the way the other characters, Emmitt and Oliver in particular, came across. Overall, I found this to be a very enjoyable book, and I would recommend it to others. To Love and to Cherish is Book 3 in Addison Albright's Vows series and could be listened as a standalone, though I think knowing the backstory would make it more enjoyable. After everything Nash went through in the first book of this series I was really happy that he got this book. I loved both Nash and Emmitt, and Emmitt's grandfather's characters. I was not a fan of Nash in the first book. I understood where he came from and didn't have a lot of empathy for him, just because I loved Henry and Sam so much. But Nash was the innocent bystander caught up in their story. In this we get to meet the cynical Nash who is done with it all, only a case of amnesia (in a 'you have to read it to believe it' accident), lets us see Nash without all the hurt he's suffered through. The amnesia also gave Nash the chance to move on from Sam and to find love when all his shields are down. This story is told completely from Nash's POV, so I didn't feel like I ever got to know Emmitt as well. It took until Nash got his memories back before we understood his motive in moving Nash in and proposing to him. I would have loved his POV and to know what he had been thinking. I loved Emmitt's relationship and love for his grandfather. His grandfather was a terrific, fun character in this story and really brought lightheartedness and laughter. This book is narrated by David Gilmore who also narrated the first two books in the series. Oddly enough, I really enjoyed his narration in the first two books, but not in this one. I don't know why it was different in this book than the previous ones, but it was. The narrator has an easy pace and brings the emotions out of the story. In previous books, I thought he did a great job of giving characters individual voices but not this time. It felt very limited, with several characters sounding the same. And, something I noticed was the audio loudness fluctuating at the start of a chapter. It would be really quiet to start, even though I made no changes when this happened. Whether you chose to listen or read this story, I strongly recommend it in whatever medium you enjoy. I love the whole series and would recommend starting at the beginning with Henry and Sam. Nash was so sweet in the first book of this series, so after the way that ended with him losing the man he loved to another-someone he could in no way fault for the situation-I really wanted to see him find love again. What I wasn't expecting was how his attitude would change, and the decision he made as a result of that. Emmitt seems to have the same mindset as Nash, and that thing I wasn't expecting? A marriage of convenience? That kind of threw me for a loop and at first I was unsure of what I would think of the story going this route. I needn't have worried. Why? Because that freak accident and amnesia bit that you read about in the blurb? It totally turned everything on its head. The relationship between Nash and Emmitt that emerges afterward tugged at my heart and had my smile peeking out as I got to watch the two of them find *gasp* LOVE. It was gradual and tender, and by the end of the story I was completely satisfied. There's a really good cast of supporting characters in the story, and Oliver was a particular favorite of mine, especially with how he tempered Nash's best friend Harley's attitude toward Nash and Emmitt's arrangement and everything that happened after the accident. Emmitt's grandfather was another bright spot for me with his unconditional love and acceptance of Emmitt. To Love and To Cherish is another great addition to the Vows series, and was a 4.5-star read for me. 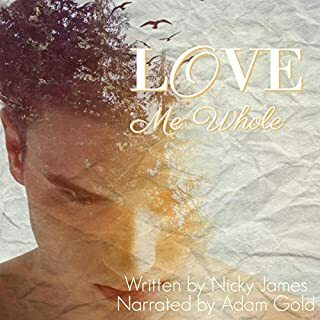 Fans of any kind of M/M romance will enjoy this story-you've got a lot of fun tropes thrown in here that all work together to result in a really good read. This book is meant for readers 18+ for adult language and some light M/M sexual content. And now I'm wondering if we might get to go back a little and see how Oliver and Harley got together, or if maybe there's another story in here with someone else from the hospital-and even if there isn't, I'm ready for any story this author is ready to write! The narration: Okay, so my favorite perk of the narration was getting to hear Emmitt’s grandfather brought to life because that made his part pretty darn funny. I may have gotten some odd looks from people when I was laughing out loud at some of his lines hearing them being narrated. As for Nash and Emmitt? The way they were voiced made it seem like there was a large age gap between them since Nash sounded quite young and Emmitt much older. 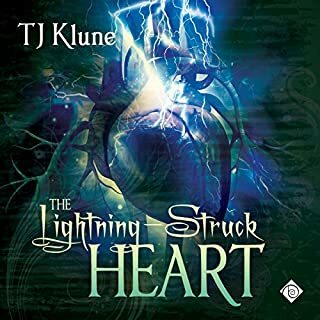 Other than that, this is another good narration that put a smile on my face as I listened and is getting 4 stars from me. We first met Nash in Til Death Do Us Part when he was engaged to Sam. I think we all felt for him, well the whole trio really. Such an impossible situation to find yourself in. Undoubtedly, people will get hurt no matter what. To Love and To Cherish probably can be read as a standalone as it's not heavily interwoven with the previous books and the backstory is explained. That being said, I think you should at least read the first book to fully enjoy this one. So yeah, this plot device is beyond unbelievable. I mean come on, a bird collides with your arm and you loose the past 4 months of your life? Yeah, don't believe that for a second. But I will confess, that didn't bother me at all. I laughed out loud at the ridiculousness of the accident, and I thoroughly enjoyed myself throughout the book. Heartwarming story! I've volunteered to review this for United Indie Book Blog. This author is new to me. I had the audio version. This is the third book in this series. I find that you can read this an standalone. This one is about Nash and Emmitt. I was hooked from the first sentence. This was such a heartwarming story. I couldn’t help but fall in love with almost all the characters. This was a nice easy read and a good story. You find yourself rooting for Nash and Emmett to find happiness. The writing in this book was done very well. I'll be reading more by the author. Keep up the awesome work! Can't wait to read more of your books. So, so, soooooooooo happy to have Nash's story!!! I feel like I waited forever to read his story. Though he seemed like a jerk in the end of book one, it was truly understandable when your a little ways out from your wedding and your fiance dumps you to go back to his husband. Nash is a kind soul with so much to offer and I am so thankful that I got the chance to meet him and that he found Emmitt. This story had it's ups and downs, but I so enjoyed listening to how much Emmitt cared for Nash and how much Nash came to realize his feelings for Emmitt, too. Though the way they came together might have been a little unorthodox, it all worked out in the end. The narrator could do a little better job of making the characters voices more distinguished so I wasn't confused about who was speaking at certain times, but I felt like he had more energy in this one than the other two.